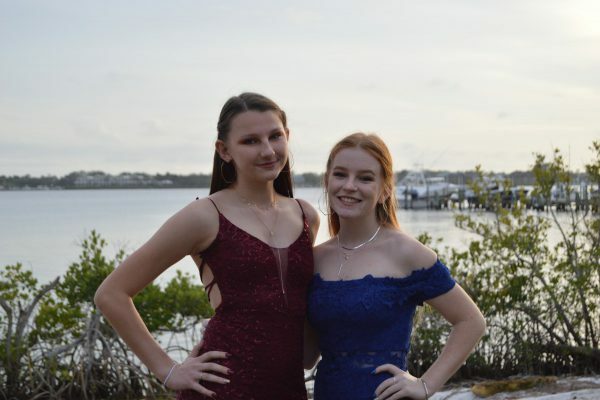 On Saturday February 2nd, 2019, Port St. Lucie High School Jaguar Battalion attended its 25th Annual Military Ball at the Santa Lucia River Club. 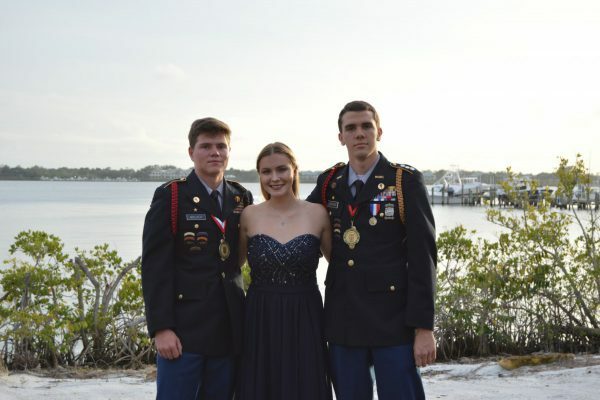 Male Cadets wore their Dress Cadet Formal uniform, and female cadets came in formal gowns. 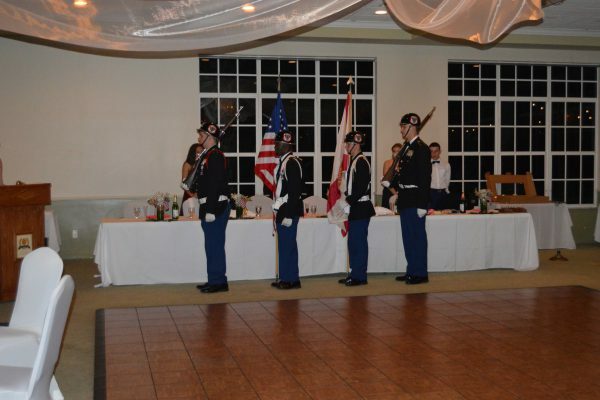 Our Jaguar Battalion Color Guard posted the colors to begin the formal portion of the ceremony. 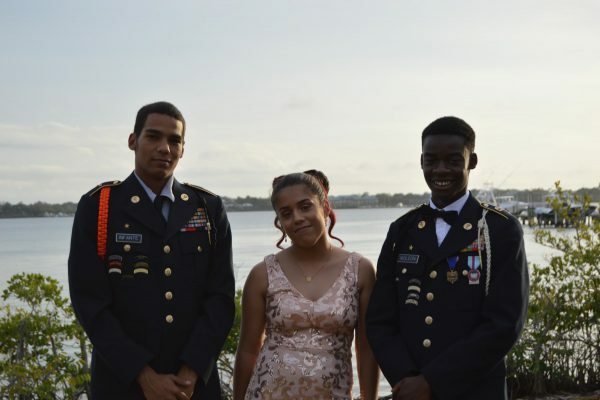 Commanding the color guard was Cadet Sergeant First Class Lawrence Moleon-Matthews, accompanied by Cadet Sergeant Shane Canady as State Flag Bearer, Cadet Sergeant James Mikovsky as National Guard, and Cadet Corporal Alex Nangle as State Guard. 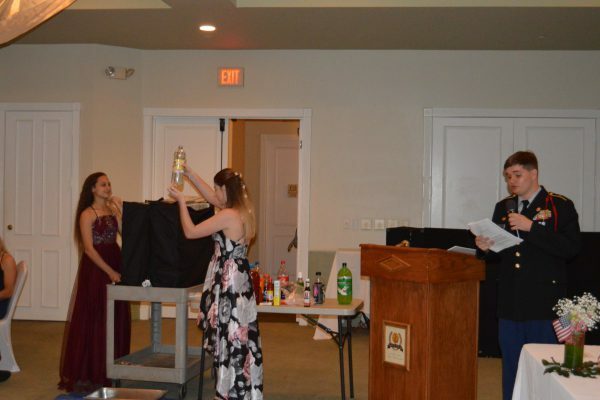 We proceeded to go through numerous traditions our JROTC program has conducted over the years before and during dinner; we also added our newest tradition called the “not so Oscars.” After dinner the Color Guard retrieved the colors and we began the informal portion of military ball — the dance. 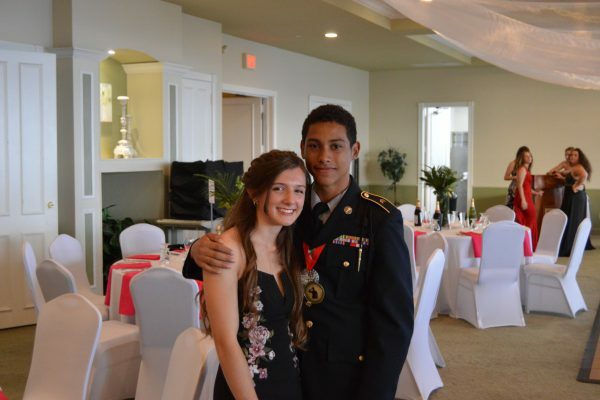 All cadets who attended enjoyed their Military Ball experience and are excited to see what next year brings. 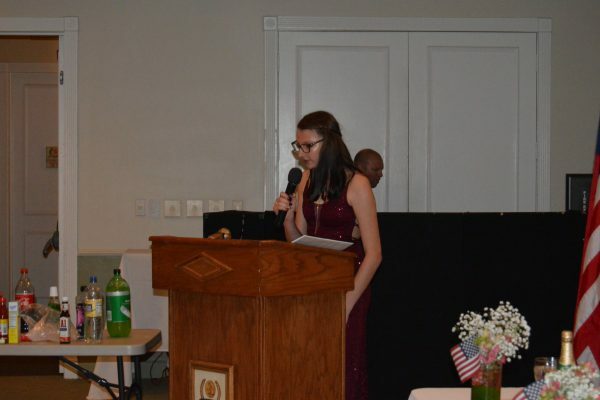 Photography and this article was written by Cadet Captain Alexis Morris.